Oh! I say " Ding Dong"
Thanks OP, bought. My wife was threatening to get a 'normal' doorbell and have it fitted next to the Ring! Hopefully back in her good books now. 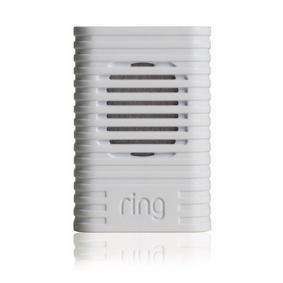 Anyone know if you can pair this with Smartthings without a Ring? I don't want a Ring, but maybe this could be used as a notification / alert. Anyone know if you can pair this with Smartthings without a Ring? I don't …Anyone know if you can pair this with Smartthings without a Ring? I don't want a Ring, but maybe this could be used as a notification / alert. is it not possible to register a chime with Ring without a doorbell ? - and if you can would it not appear on the Ring service on IFTTT? and ifthat were possible then could it interact with other IFTTT serices such as Samsung one ?